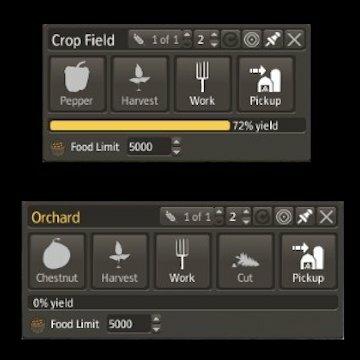 This mod works similar to Better Harvesting Behavior, except that it allows it to be done on a per-field/orchard granularity via new interface buttons. If you are not familiar with Better Harvesting, it basically changes the harvesting behavior in such a way that the farmer will not collect the crops until he/she finishes harvesting. Laborers will instead collect the harvest, as they do other buildings.